Do you remember the game that made you fall in love with video games? That one you sat down for days upon days, hours upon hours finding every kook and cranny in the game and then going back to do it all again, just for fun. The one you thought about after playing, that gave you the craziest itch to pull all-nighters and kill your social life for multiple weekends because you just had to beat that last boss. Final Fantasy X was that game for me. I am pleased to say that Final Fantasy X HD Remaster gives a more polished experience to something that is nearly as magical as the first time I played it. Our story begins in the futuristic city of Zanarkand, with the upbeat and sporadic Blitzball player Tidus (the game gives him the option of being renamed and never uses his name in the game, but let's face it - he's Tidus to the fans) as our protagonist. The story doesn't waste much time getting started - after a few stunning FMV sequences, a monster called Sin rips apart the town, you learn how to fight and are sent off to the world of Spira. Once Tidus finds his way to Besaid, with nowhere else to go, he joins summoner Yuna on her journey to defeat Sin. Tidus is the perfect person to be giving the point of view in the game as he is a total outsider. You find out about the nature of the world of Spira just as he does. Tidus' inner thoughts not only tie you to him as a character but also point out the many flaws of Spira. This makes it easy to connect emotionally when something may be wrong morally in the game. The world of Spira is very complex - it is deep rooted in religion and tradition based on a thousand year old war and is up against Sin, a nearly indestructible monster that can attack their well-being at anytime. Religion is further tied in with summoners such as Yuna, whose job it is to destroy Sin by going on a pilgrimage to Zanarkand and collecting strong Aeons along the way to become stronger. A lot happens in the story and it only becomes deeper as you go further into the game. There is a sense of urgency throughout the game that really encouraged me to prepare for each battle and each part of the story. Against some modern video game stories, the story of definitely Final Fantasy X still stands strong with it's solid cast of characters and in-depth story that challenges themes of love, politics and religion and introduces what I still think is one of the best video game romances to date. While Tidus and Yuna are great main characters, the other main characters all have a back story and create a colourful cast full of people with different ideas and personalities. 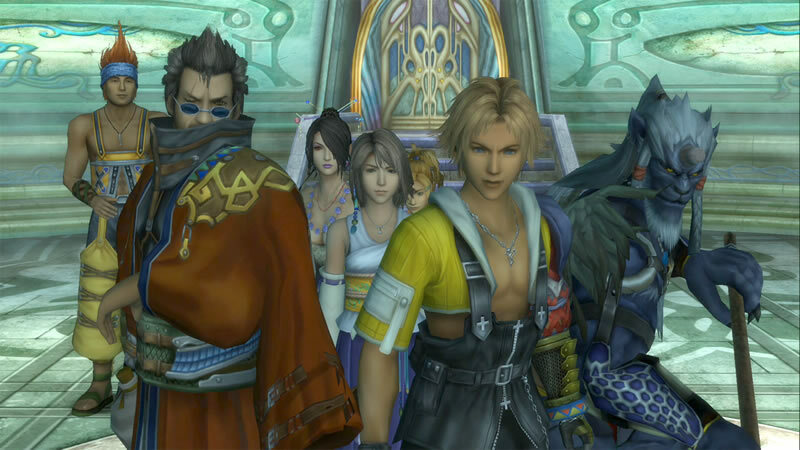 Final Fantasy X HD is a Remaster and not a Remake. While the HD visuals definitely improve upon the more jagged PS2 visuals, sometimes you will see textures that haven't been re-done and will be briefly reminded it was a PS2 game. You can really notice the effects of the remaster in the landscapes, boss enemies and the faces of the main cast, which have been noticeably redone to be more expressive and more dimensional. This was a nice touch although amusing next to their flat-faced NPC counterparts. The music of the game has also been remixed to be more dynamic - I mostly noticed more layering of instruments and I really enjoyed the difference to the still great soundtrack. The turn-based battle system of Final Fantasy X is a treat, with many different mechanics such as various Overdrives, Aeons, Status Effects and Weapons able to switch the odds within seconds. Turn-based battle systems have the potential to be very simple (think Pokemon), yet these attack options really make it very complex and strategic. I also still enjoy the freedom of the Sphere Grid leveling system and for those wanting to customise their characters more in the earlier stages of the game, the Expert Sphere Grid can be a lot of fun. Speaking of the Expert Sphere Grid, if you've never played the International version of Final Fantasy X, along with the new Sphere Grid you will be treated to new features and challenges such as Dark Aeons and the Omega Ruins. These weren't actually new to me, but I'm much more enticed to put the time into them now that trophies are involved. They are not for the faint-hearted though - they require lots of grinding and strategy, which gives a new challenge to old players. Also included in the Remaster is the video Eternal Calm, which occurs two years after the end of Final Fantasy X. It's basically a prequel to Final Fantasy X-2 and while it isn't groundbreaking, it's still cool to see once you've finished X. If you loved Final Fantasy X ten years ago and feel the itch to play again, you will definitely not be disappointed. 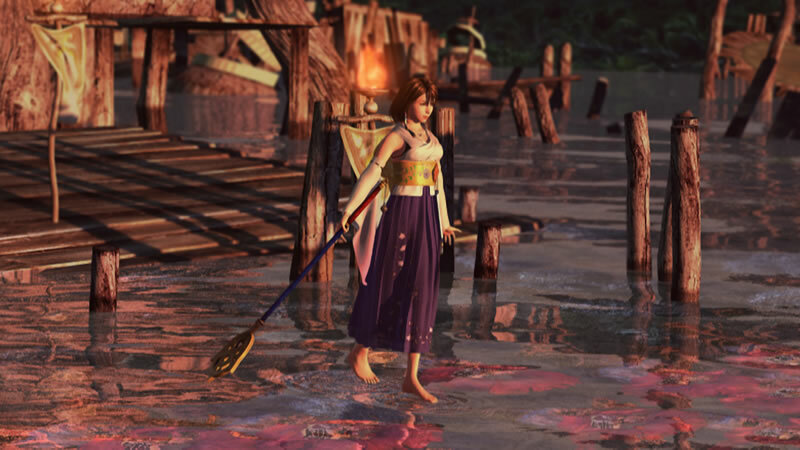 For a game that was already great, Final Fantasy X HD Remaster's improvements and new features make it even better and give old players new things to explore. If you've never played Final Fantasy X, this is a story you don't want to miss, especially in it's best form. I played 50+ hours over a month and that's not including the amount of boss battles I had to redo because I forgot to level grind. Definitely still one of my favourite games of all time. Final Fantasy X/X-2 HD Remaster is available for PS3 and PS Vita from Play-Asia and other retailers.